The Ford Fiesta keeps redefining the driving experience. Enhanced suspension and brake performance has led to sharper handling, giving you confidence in the corners and yet the All-New Fiesta is still able to put a smile on your face on what would otherwise be the most mundane of roads. The Fiesta now has a new 1.1l Ti VCT Petrol engine for the first time as well as the award winning 1.0l EcoBoost range. The 1.0-litre Ford EcoBoost is available in 100 PS, 125 PS and 140 PS versions. The diamond-like coating on the piston rings reduces friction; the turbocharger, direct injection and variable valve timing boost efficiency. The result is remarkable performance from such an economical petrol engine. Winner at the International Engine of the Year Awards for five years running, the 1.0-litre Ford EcoBoost is available in 100 PS, 125 PS and 140 PS versions. With the Fiesta comes an All-New Interior. A modernised dashboard has been designed and built using superior materials that gives the driver a premium experience. The new 8'' touchscreen has been inspired by modern smartphones allowing for a much more intuitive interaction with the vehicle controls while adding contemporary style to the interior. For the first time on a vehicle this size, the Fiesta comes with an openable panoramic roof, bringing the outside in and giving the cabin a more spacious feel normally associated with much larger vehicles. While the Fiesta may look larger than its predecessor, it is only 71mm longer, 8mm taller and 13mm wider. Clever styling cues in the rear lights give the impression that the Fiesta is significantly larger signifying a premium product but integrated aerodynamic fins within the rear lights themselves serve to improve the aerodynamics, improving fuel efficiency and reducing road noise. With NCAP getting more difficult with each passing year, Ford is proud to announce that their dedication to safety has resulted in the Fiesta achieving the 5 Star NCAP Safety rating.  NCAP also noted the ability for customers to select Pre-Collision Assist and Driver alert as an option. Ford remarkable technologies to the Fiesta. The Fiesta has been designed to face the modern world with technologies developed for premium vehicles appearing in the Fiesta for the first time. And featuring the all new in car entertainment system Sync 3 letting you control everything from phone calls and text messaging to music and satellite navigation. You're phone just found a new best friend with the introduction of Apple CarPlay and Android Auto. The Fiesta now available with the B&O Play audio system. Bang and Olufson (B&O) throughout their 90 year history, are famous for their commitment to delivering remarkable quality of sound precision. Partnering with the Fiesta elevates the experience of every journey. B&O PLAY is standard on the B&O PLAY series, Titanium X and Vignale. Optional on Zetec, Titanium, ST-Line and ST-Line X. Rain sensing wipers &auto-dimming rear view mirror. For information and specifications regarding the Ford Fiesta ST click below. Just some of the features that make the Fiesta even better than its class leading, best selling predecessor. For further information or to arrange a test drive please visit D G Weaver Ltd. With showrooms and demonstrators in Llandow, Talbot Green & Rhondda, our friendly staff will be on hand to assist you with any queries you may have. D G Weaver Ltd. serving South Wales since 1956.